4 Things To Look For In The Blades Of Quality Kitchen Knives! / 4 Blade Factors To Look For In Quality Kitchen Knives 2019! 4 Important Blade Factors To Look For In Your Kitchen Knives! When buying a steel knife like Global, Henckels, Miyabi or Shun, it pays consumers to pay particular attention to the type of steel used in the blade. The steel is the essence of the blade! It will be one of the key factors in determining how well a knife performs. Here’s what you need to look for! 1. How tough is the blade? 2. Will it be flexible? 3. Will it last the distance? 4. How well will it stay sharp? Steel is essentially an alloy, a mix of carbon and iron, and it is very often strengthened using other elements. These vary depending on the manufacturer of the blade. This improves certain characteristics depending on the intended application. A fillet knife blade, for example, will be built for flexibility. Different types of steel are created by varying the types of additive elements. 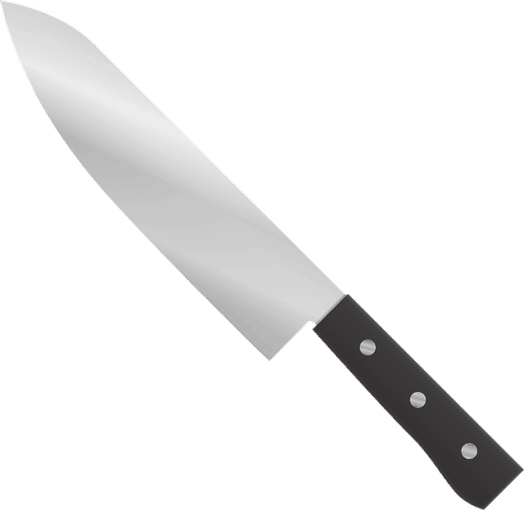 How well will the knife you are looking at resist damage, like cracks or chips when being used daily, in normal kitchen and cooking applications? Chipping is a knife’s worst enemy! It’s never easy to fix, normally requiring a total reshaping. The stronger / harder the steel the less resistant / tough it will likely be, because it will be more brittle. Will the knife blade be able to flex and flow with the movements you want to make without breaking? Having a bit of give in a knife is often a good thing. It is however, important to note that a well-stocked knife block, will have a variety of lengths of blades, and of differing flexibility so as to cater to all kitchen requirements. When shopping for a knife, you need to consider its ability to resist the elements that will bombard it at every use. Will it be able to stand up to the abrasive nature of knife use? Wear is often a result of a softer surface coming in contact with a rougher one. The composition of the knife, it’s hardness, will determine its ability to resist wear from cutting. Something else to think about is how well the blade will be able to withstand damage from water and other highly corrosive elements such as salt? Corrosion resistance – the ability to resist corrosion like rust – often comes coupled with a sacrifice in the overall edge performance of a knife. It’s a trade off. Edge retention is a huge factor to consider when purchasing a new knife. How well will a blade retain its sharpness when it is in use day-after-day?There is no perfect way to measure this, but a good rule of thumbs tends to be, good quality knives with good craftsmanship hold their edges better than cheaper knives which have not been honed well or crafted using quality materials. There is no perfect way to measure this, but a good rule of thumb, tends to be, good quality knives with good craftsmanship hold their edges better than cheaper knives, which have not been honed well or crafted using quality materials. For everyday use, honing your knife blade is recommended, we have a great article – click here! And, of course, every great knife will need to be sharpened from time to time. We have how to use a whet stone – click here! But generally speaking, the better your blade, the better it will hold it’s edge and cut for you for longer in between. So 4 important things to look for in a blade, when shopping for your expensive kitchen knife, or a great quality kitchen knife set. Hope you found that useful. Let us know in the comments box below! Another interesting read you may like – is how to shop for a chef knife – click here! And a demonstration of filleting a bone-in chicken breast here!